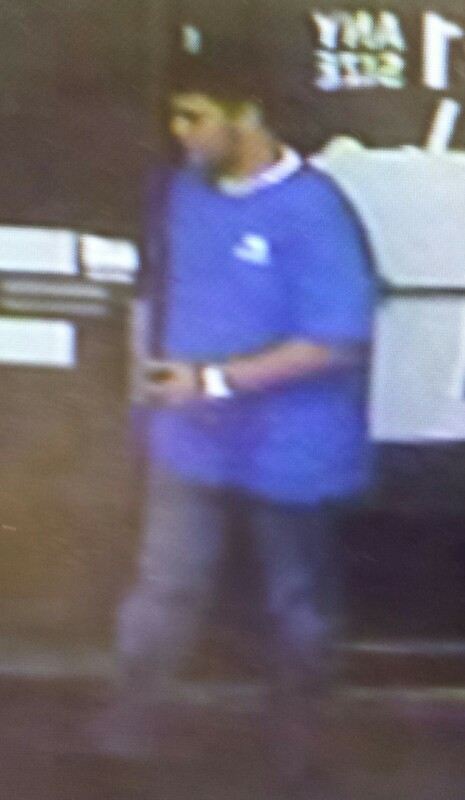 The Iowa City Police Department is asking for assistance in identifying the male pictured wearing a blue shirt. He is wanted for questioning regarding the theft of alcohol from Kum & Go, 955 Mormon Trek Blvd. on 07/29/2014.